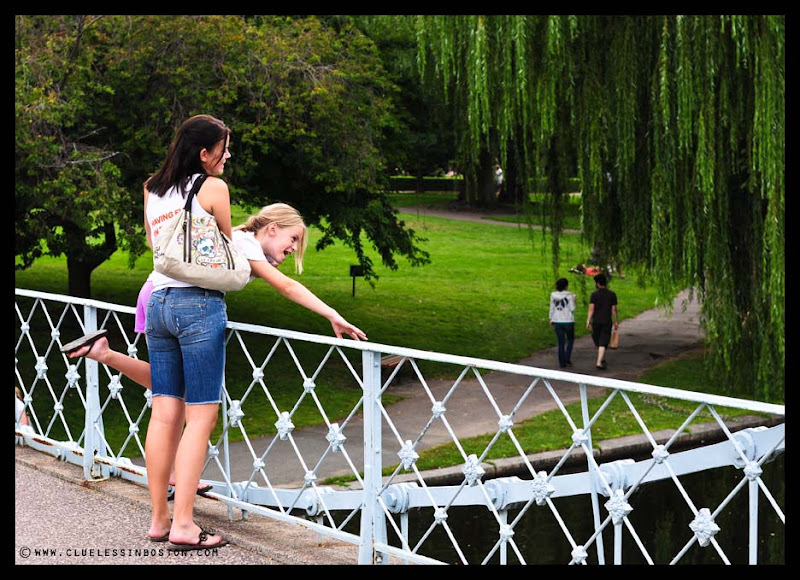 Two sisters kidding around on the suspension bridge in the Public Garden. As long as they stay up there! What a fun place to spend some time. Slim, thanks for the comment on my last b&w shot. No, I don't do any of my own processing. I used to, but that was decades ago. There is a good 'traditional' camera shop in Reading that sells old 35mm cameras as well as digital. I get my film stock there and then hand them in for processing. I usually get them back about a week later. Bit slower than the instant results from digital, but part of the old 35mm 'fun'.